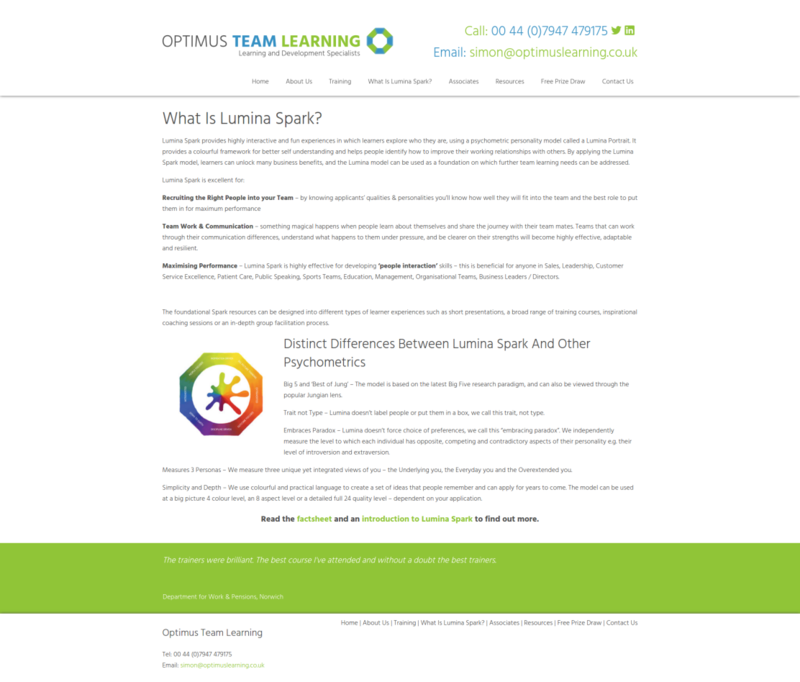 Optimus Team Learning specialise in providing training for business teams. 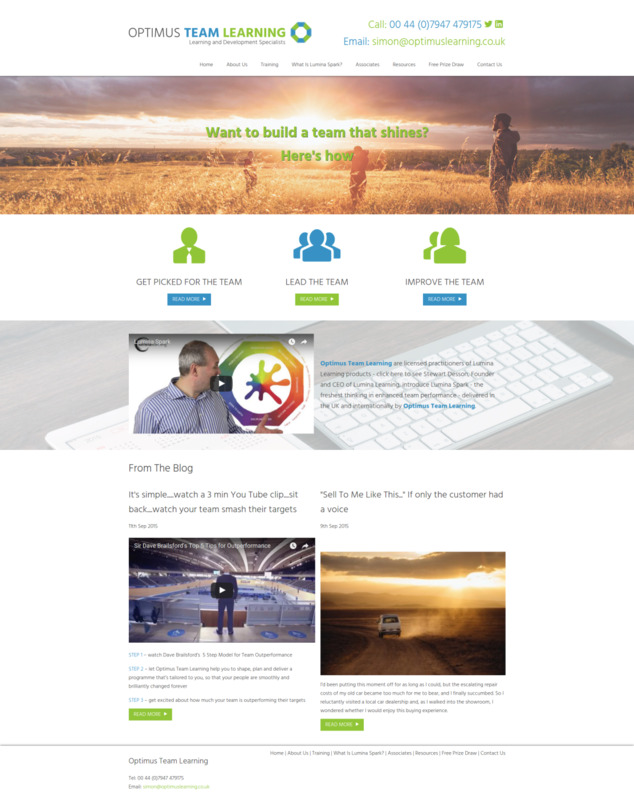 They required a website that promoted their unique approach to training and to highlight the three main areas of training; team members, team leadership and team improvement. 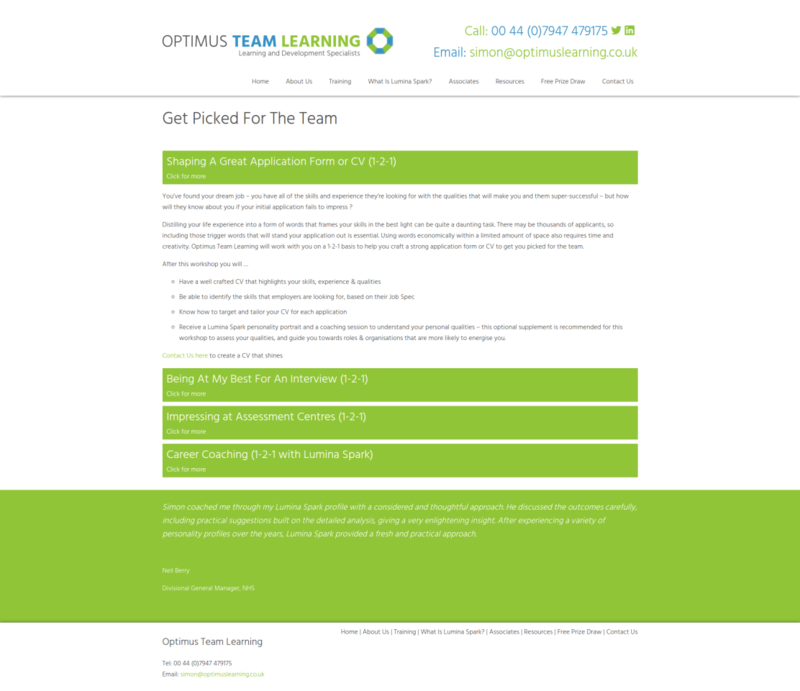 Optimus Team Learning required a Content Management System to enable them to add blog items and make amendments to content when required. The website was created with mobiles and tablets in mind ensuring no content was omitted regardless of the device.